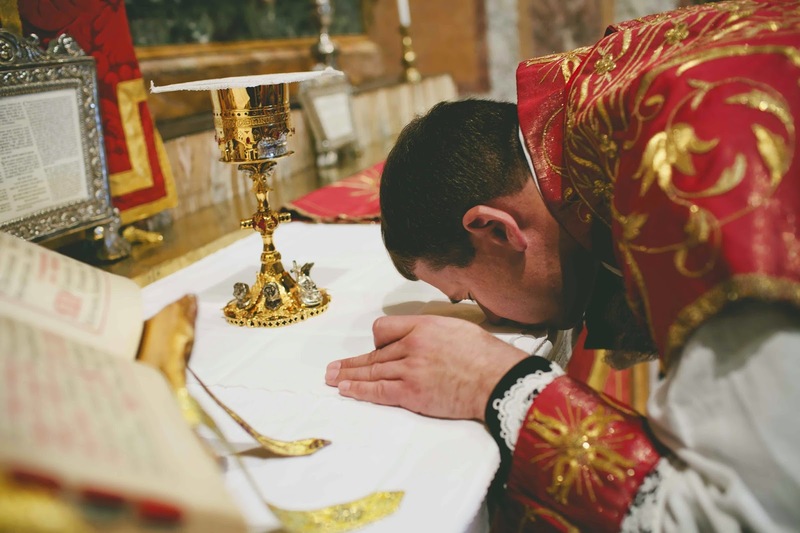 New Liturgical Movement: How Sinful Is It to Disregard the Rubrics? How Sinful Is It to Disregard the Rubrics? It had never occurred to me to think of liturgical abuse as a possible mortal sin, but a couple of texts I saw recently in St. Thomas prompted me to ponder this question. For some reason, such abuse had seemed to me—to the extent I’d given the matter any thought—a venial sin, more of a nuisance, an inconvenience, an offense to the faithful in the pews who deserve better, but not a severance of the friendship of charity with God. And yet, as I ponder this matter more carefully, it seems to me that there is something very serious indeed happening whenever a minister knowingly departs from the Church’s rule of worship as expressed in the texts and rubrics of the liturgy (which, of course, he is required to be familiar with; ignorance is no excuse). The disregard or violation of text or rubric is an expression of contempt towards Christ and the authorities He has established to rule in His name. The only exception I can think of would be a case where, in keeping with the hermeneutic of continuity, something wanting in the Novus Ordo is repaired by reaching back to the preceding liturgical tradition and re-integrating it with the newer, as we often see occurring in Bishop Peter Elliott’s Ceremonies of the Modern Roman Rite, where he freely admits that recent rubrics are often lacking in pertinent content or specificity and that one can profit greatly from adopting or adapting past ceremonies. After all, if there is to be (in the words of Pope Benedict XVI) a “mutual enrichment” whereby the Ordinary Form profits from the Extraordinary Form, there must be ways in which the perfection of the latter may spill over into the former. It is harder, of course, to think of positive influences in the other direction, but examples might include taking a cue from the many readings of the Ordinary Form Easter Vigil and restoring the old (pre-Pius XII) Easter Vigil with its many prophecies, or allowing the optional celebration of certain saints’ memorials on available ferial days, so that traditional Catholics could honor St. Pio of Pietrelcina, among others, with a public liturgical cult. Mortal sin occurs in two ways in the act of free-will. In one way, when something evil is chosen—as man sins by choosing adultery, which is evil of itself. Such sin always comes of ignorance or error; otherwise what is evil would never be chosen as good. The adulterer errs in the particular, choosing this delight of an inordinate act as something good to be performed now, from the inclination of passion or of habit; even though he does not err in his universal judgment, but retains a right opinion in this respect. In this way there can be no sin in the angel; because there are no passions in the angels to fetter reason or intellect, as is manifest from what has been said above (q. 59, a. 4); nor, again, could any habit inclining to sin precede their first sin. What I find striking about this text is that, when St. Thomas wishes to find an example of a human sin to which he can fitly compare the kind of sin Satan and the other malicious angels committed, he chooses praying without heeding the order established by the Church! 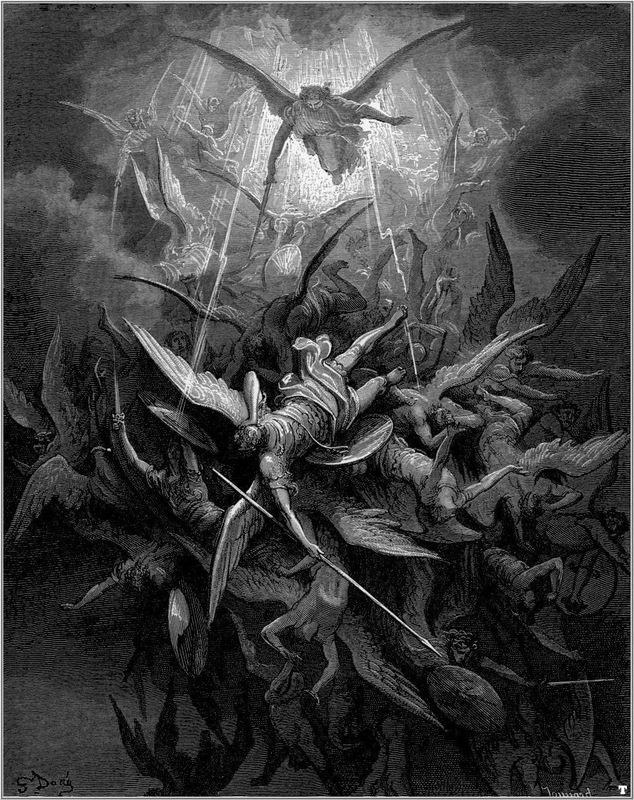 In the heavens there is a rule that the angels must submit to in their pursuit of their own good, and likewise on earth, there is a rule that men must submit to in their pursuit of the good of holiness. A failure to consider the established order in the macrocosm of the universal society of intellectual and rational creatures is reflected in a failure to consider the established order in the microcosm of ecclesiastical society; the latter is a miniature fall from grace, that is, a fall from the divine will, which manifests itself to us as an order into which we can freely insert ourselves, or against which we can freely revolt. It is, in other words, not the choice of something bad in its very definition that characterizes the fallen angel, but the choice of something good, yet in a perverted way. Those who offer the Church’s prayer, which is man’s noblest and best act as a creature, while changing the rubrics according to their own whims and wishes, are offering a gift vitiated, to some extent, by a will insubordinate to the rule of the divine will. This need not necessarily detract from the objective value of the gift, but it will certainly affect the subjective benefit of the offering for the offerer and possibly for those who share in it. That is an astonishing claim: one does not receive the res sacramenti, the very thing the sacrament was instituted to give us, if one embraces the fault of the minister who unlawfully varies even those things that are incidental to the conferral of the sacrament. Such a claim brings into sharp relief the seriousness with which St. Thomas took the liturgical law of the Church, a perspective widely shared by his contemporaries. It is a perspective that, while slowly reviving among us, still has many converts to win. With his usual perceptiveness, Lewis is pointing to a peculiar sort of pride or vanity or vainglory that consists in not abandoning oneself to the structure and content of the rite, in having to be the one who constructs it in mid-air, cleverly (or not so cleverly) adapts it, produces it as if one were its author, and all the while inserting his ego into every nook and cranny. 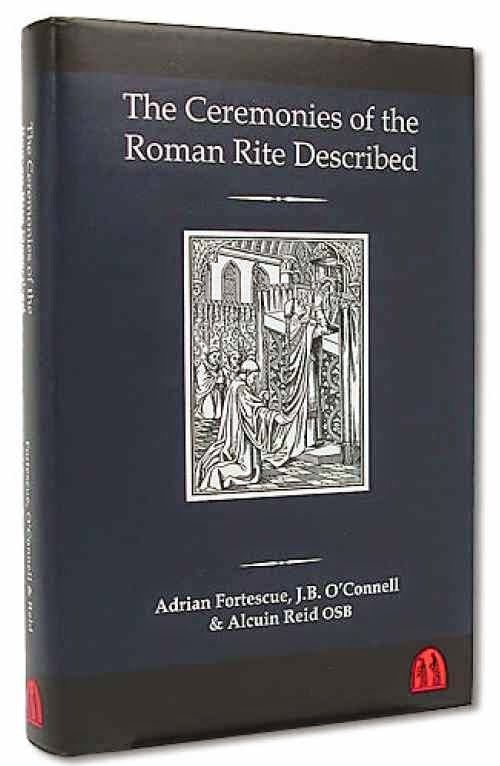 By not surrendering to the rite and its ceremonial demands as established by rubrical law, he cannot forget himself, and he cannot allow others to forget him, either. It is as if the attention that God rightfully demands is compromised, our attention being split between the transcendent object of the ritual as ritual, and the immanent object of the performance before us. A sign of this split is that the “proper pleasure of ritual” is not experienced by the worshiper, or experienced in a muted and unsatisfactory way. Although examining the claim would take us far afield, it is worth remembering that St. Thomas holds that virtuous action is accompanied by its own proper pleasure and that taking delight in the good is a sign of moral maturity. So we ought to enjoy our worship of God—not the way we enjoy God Himself, obviously, but in a way that recognizes our need (and God’s provision for our need) to leave rejuvenated, enlightened, consoled, strengthened. This, I think, is what Lewis has in mind, and his assessment of the pride of the minister as well as the injury inflicted on the faithful helps us better understand how St. Thomas can compare violation of liturgical order to the pride of the fallen angels and how he can see consent to such violations as a form of self-deprivation of sacramental grace.